Banksy announced the release of the video via his Instagram account, writing in the caption, "Some people think it didn't really shred". However, a new video, posted on Banksy's website Wednesday, implies that the 2006 painting "Girl with Balloon" was supposed to be entirely destroyed. 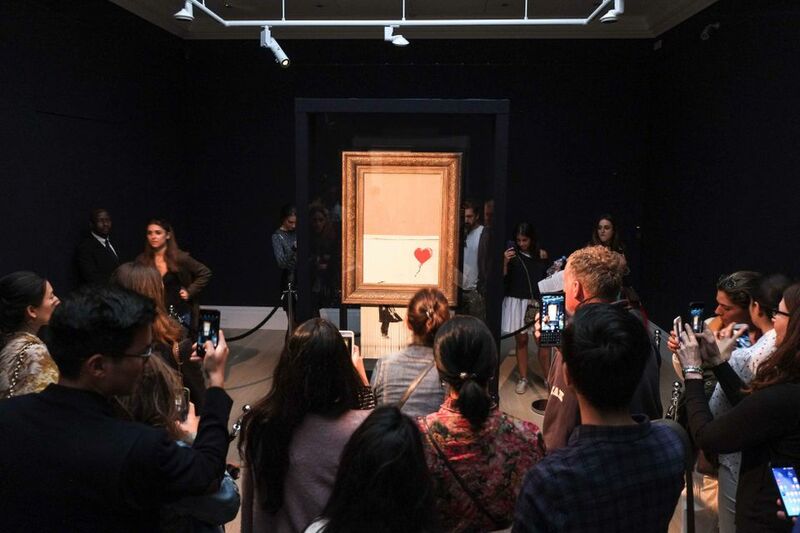 "It turns out the famous shredding of Banksy's most famous artwork at a London auction earlier this month may not have gone quite as planned". The bottom half of the painting was shredded through a hidden shredder that was placed in the frame by the artist while the top half remained untouched. The auction house says the winning bidder chose to buy it anyway at that price. Banksy just shared the 3-minute director's cut above of the prank as it went down. The framed, stencil spray painting shows a girl reaching towards a heart-shaped balloon. By all accounts, it looks like there was no way of knowing precisely what he had in store, and you can hear one of the auctioneers from Sotheby's remark that he often provides the frames to his works as part of the sale. "Banksy didn't destroy an artwork in the auction, he created one", said Alex Branczik, Sotheby's Head of Contemporary Art, Europe. In this sense, it's possible to argue that Banksy is suggesting that art is becoming consumed by money, where every piece has become synonymous with an assigned monetary worth. "When the hammer came down last week and the work was shredded, I was at first shocked, but gradually I began to realise that I would end up with my own piece of art history", the buyer said, according to Sotheby's.